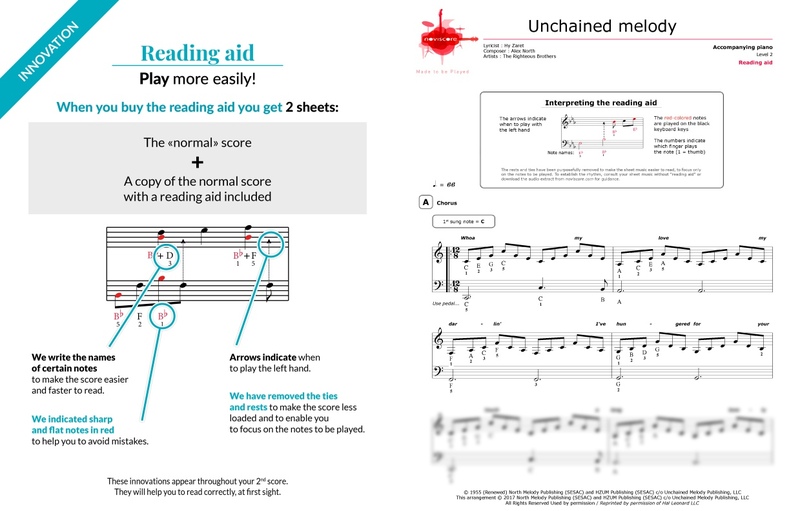 Interpret one of the greatest love songs of all time with our Unchained Melody piano sheet music. 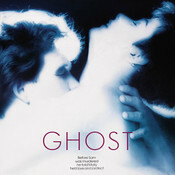 As the flagship soundtrack of the 1990 film Ghost, it evokes, above all, the unforgettable pottery scene between Demi Moore and Patrick Swayze. 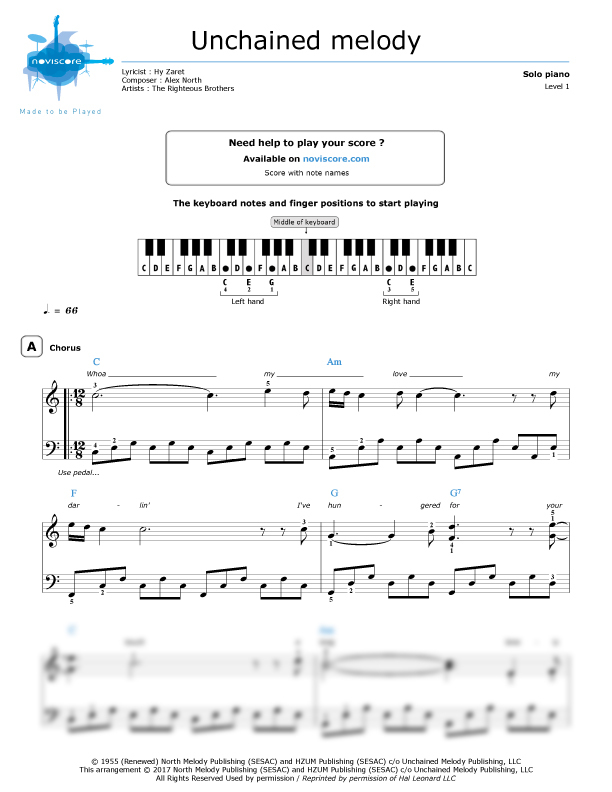 Relive the torrid, romantic atmosphere of this mythical sequence thanks in particular to our scores which are adapted for all piano-playing abilities. 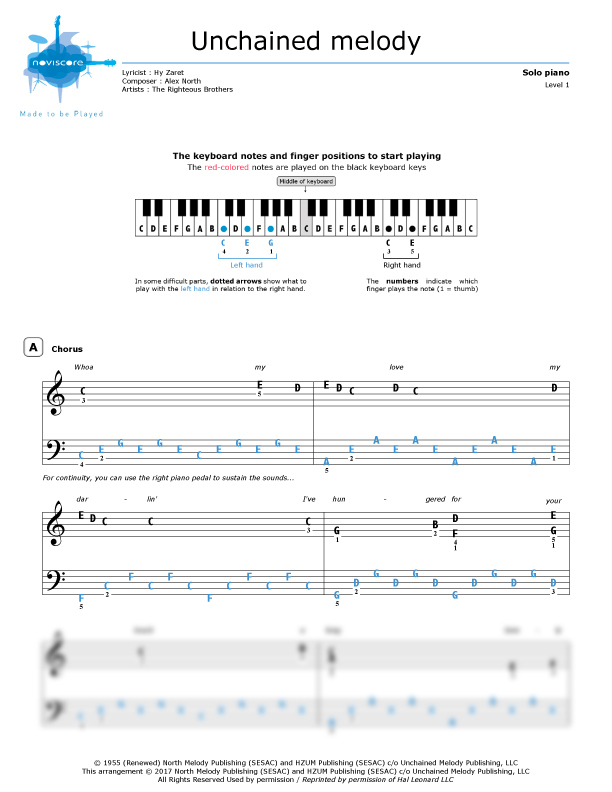 If you are a beginner and can't yet read notes, then try our level 1 music sheet where the traditional notes are replaced with the note names. 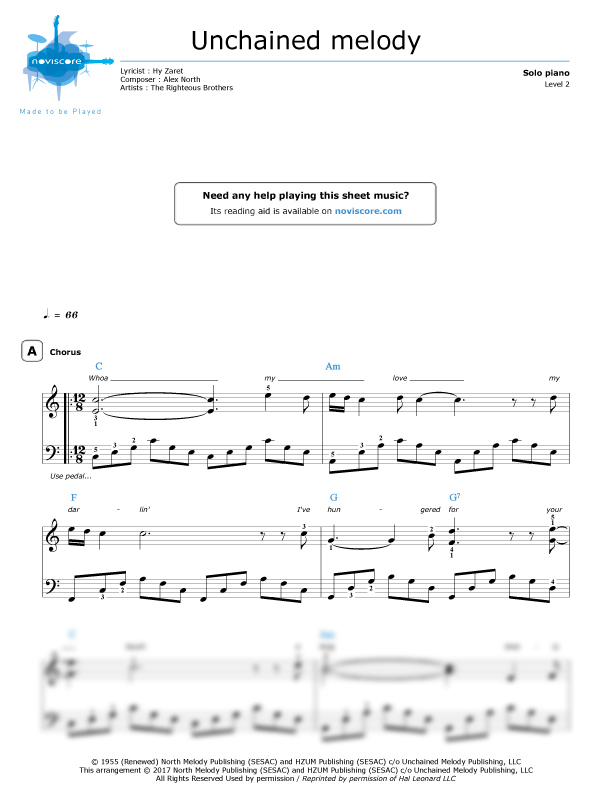 Initially composed for the 1955 film Unchained, Unchained Melody has been covered by numerous artists, the most famous of which is by the American duo "The Righteous Brothers." I really like this arrangement of this great song and think other piano players will as well. 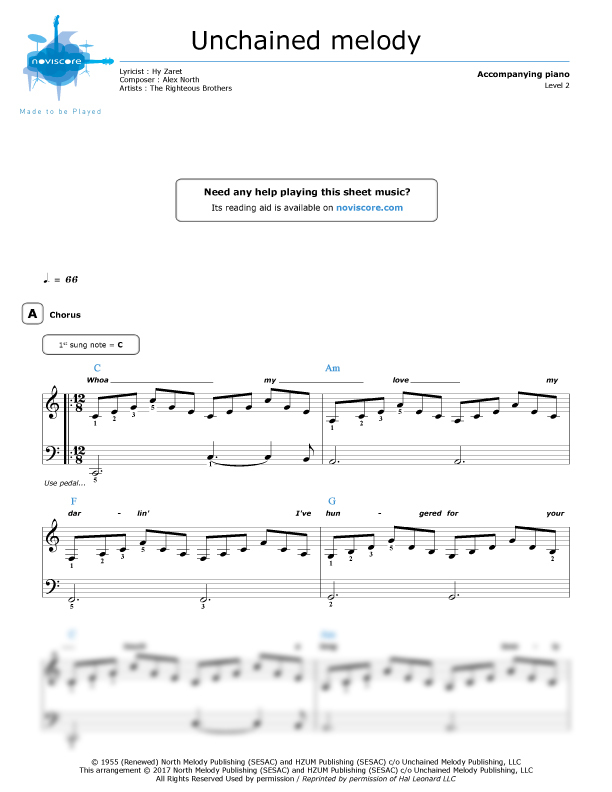 I'm looking forward to learning to play it.